Possibly the easiest dessert ever (my kids can make it)! 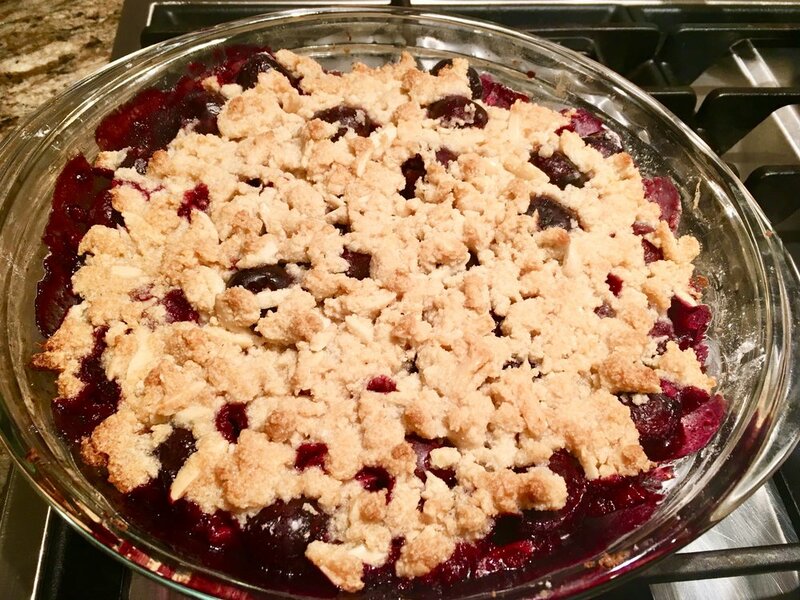 You could substitute any berry that you have (I stocked up on cherries this summer when the price was right and have them in my freezer so I can make this again soon). This Cherry Almond Crisp so yummy and satisfying - and still gluten, grain, dairy, and refined sugar-free. In a bowl combine the first 5 ingredients until large crumbs form, then refrigerate for 30 minutes. Add cold topping to the cherries and bake for 30-35 minutes until fruit is bubbly and topping is golden brown. *Depending on the type and ripeness of your cherries you may have to tweak the amount of sweetener you use in the filling.